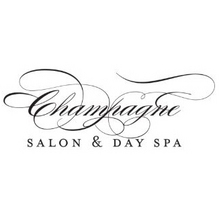 At Champagne Salon and Day Spa our goal is to provide our clients with the very best, of everything. Our Stylists are perfectionists and it shows on every client who leaves our salon. Our day spa offers the very best nail care, skin care, massage and aesthetic services in a luxurious, tranquil environment. Whatever treatment you select you will receive friendly, personalized service from our professional staff. 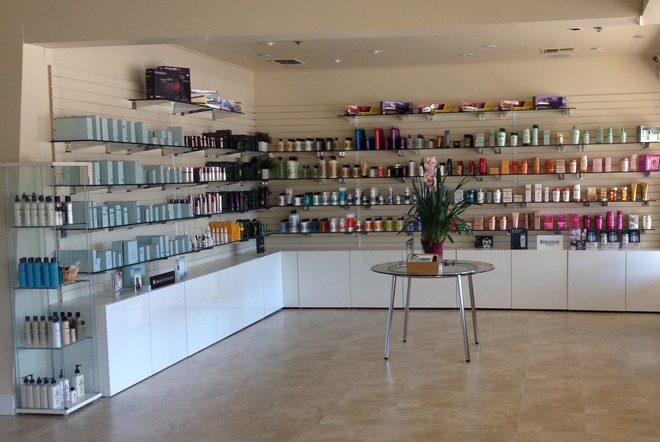 CHAMPAGNE SALON is where you will find Marin's best hair stylists. Specializing in natural looking hair color and stylish cuts, all the stylists are experienced and they take the time to really listen to their clients. Whether you just want to hide the grey or your're ready for a complete change, this is the place to go for HAIR COLOR! From long softly layered hair with lots of volume and movement, to short easy to maintain hair that can be sassy or classic, to something inbetween - the stylists know how to give you the look you want. The setting is elegant and luxurious but very comfortable. The staff is extremely friendly and the customer service is extraordinary. Visit with us and enjoy a complimentary glass of champagne. Come for an express manicure or an "afternoon of beauty and pampering". One visit and you'll be hooked! 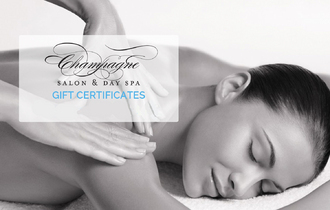 CHAMPAGNE SPA offers facials, massage, nail care, waxing, aesthetics and airbrush tanning. 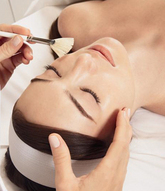 The signature SkinMaster facial is amazing for hyperpigmentation and aging skin. SkinMaster Rejuvenation Facial, European Facial, SkinCeuticals Firming & Conditioning Treatment, SkinCeuticals Clinical Acne Treatment, Skin Master Treatment Series, Gentleman's Facial, and Essential Facial. A Champagne Massage will relax anyone and an hour massage is truly an hour (usually more), not 50 minutes. Deep Tissue Massage, Lomi Lomi Hawaiian, Hot Stone, Pre-Natal, or just a Quick Relief Massage if you are short on time and have pain that needs attention. Retail products include a complete selection (including travel sizes) of Kerastase, Bumble and Bumble, Rene Furterer, SkinCeuticals, OPI and other exclusive lines.